In general, soup ought to be a wonderful way to improve your nutrition, but many soups are high in fat and calories, and very high in sodium.Here is a delicious low-fat, low-calorie soups to get you started. *Add body to low-fat soups by using potato and some low-fat or nonfat milk, then purée the soup in a blender. 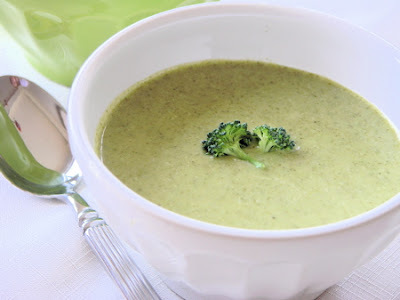 This low-fat broccoli soup makes a delicious and satisfying lunch. Heat oil on medium heat in a soup pot or Dutch oven. Gently sauté onion and celery for 3-4 minutes, until onion is softened. Add potato and chopped broccoli, followed by the broth and milk. Bring to a boil, then reduce heat, cover and simmer for 20 minutes, until vegetables are tender. Allow soup to cool slightly, then transfer to a blender in 2-3 batches, and blend until smooth. Return soup to pot and heat gently until ready to serve.